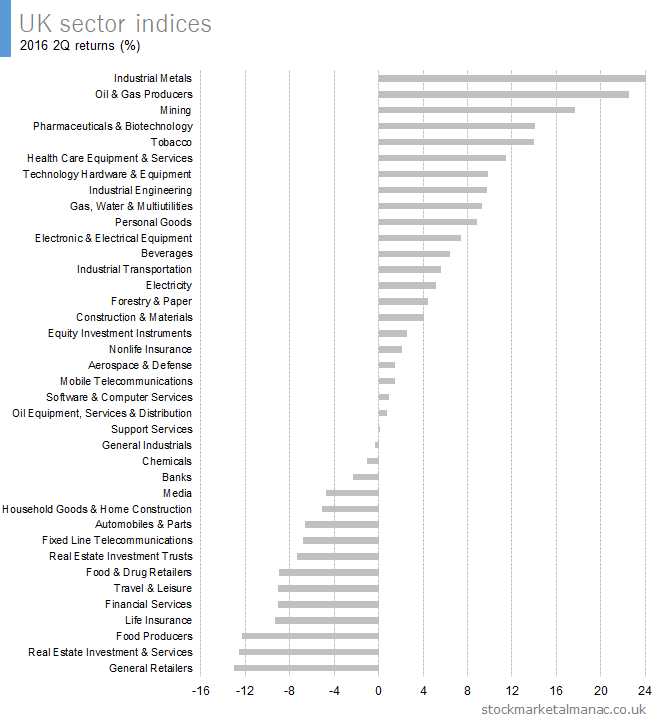 The following chart plots the performance of UK FTSE 350 sector indices for the first quarter 2018. 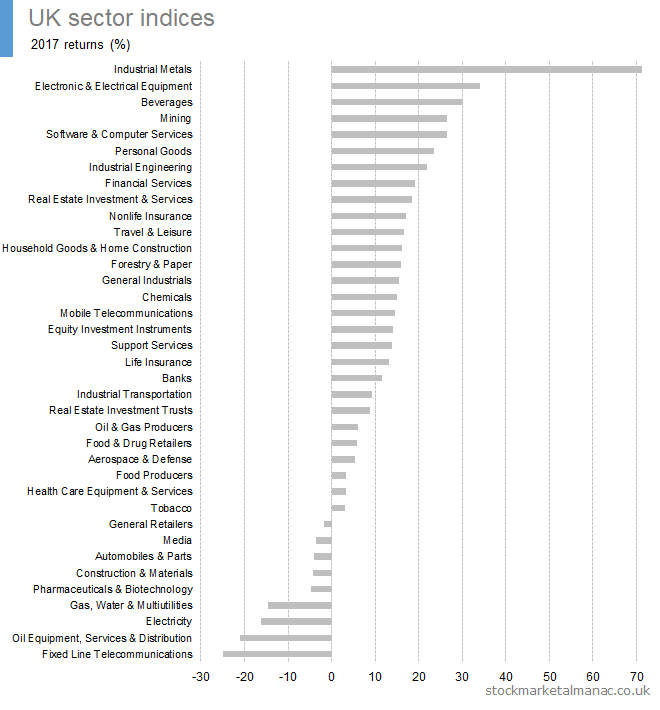 The following charts plot the performance of UK sector indices in 2017 for the whole year, second half and fourth quarter. 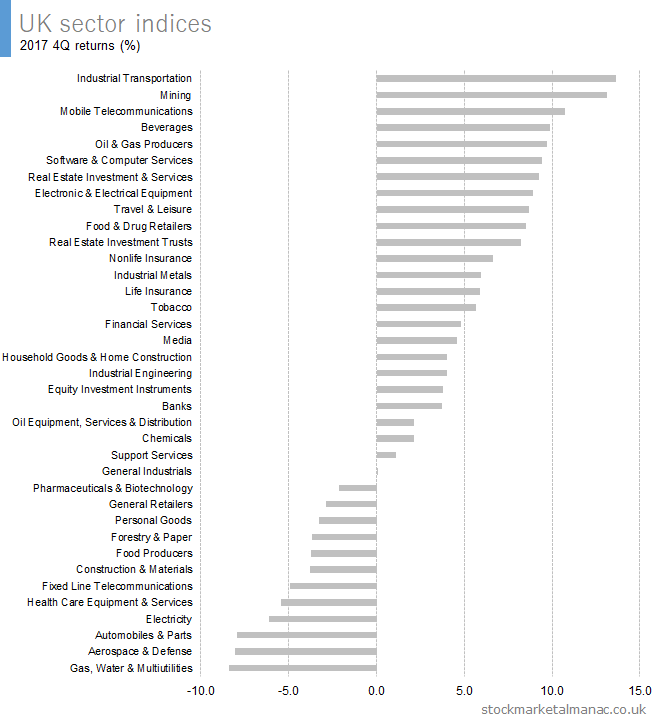 The following chart plots the performance of UK FTSE 350 sector indices for the second quarter 2017. 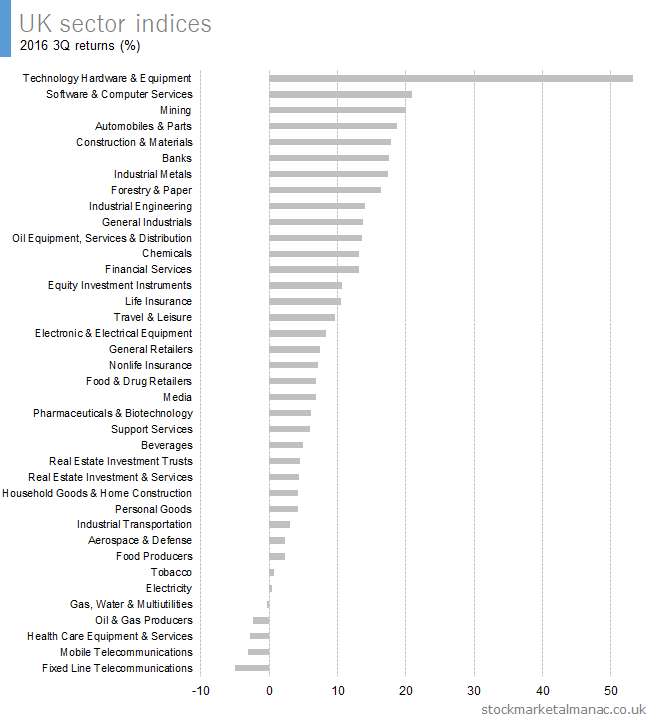 The following chart plots the performance of UK FTSE 350 sector indices for the first three quarters 2017. 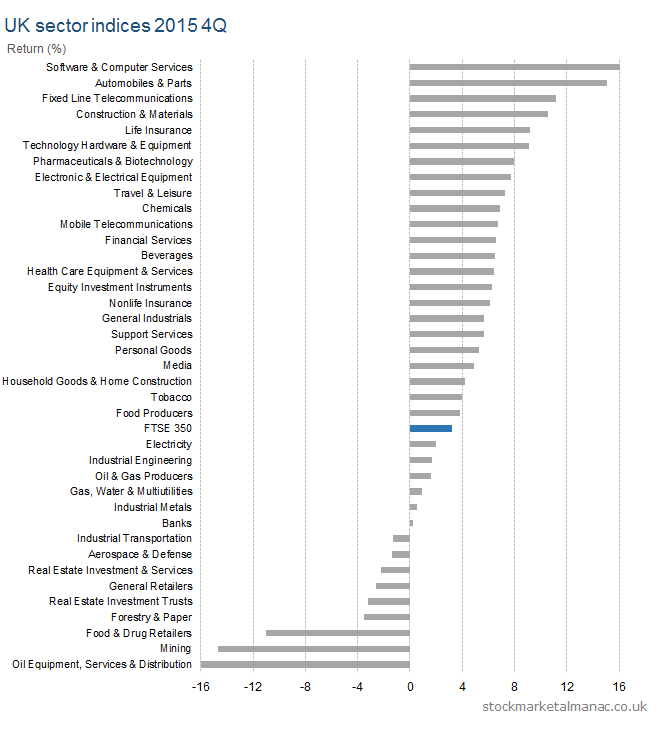 The following chart plots the performance of UK FTSE 350 sector indices for the first half 2017. 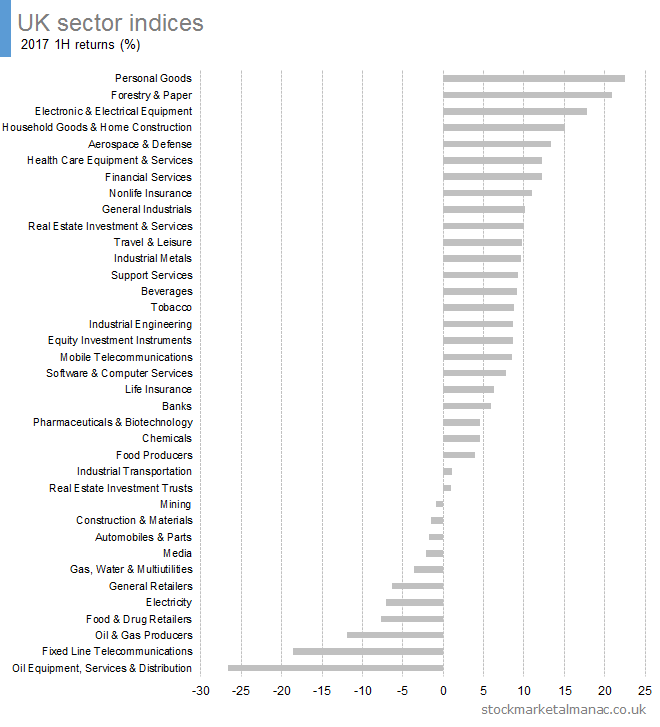 The following chart plots the performance of UK FTSE 350 sector indices for the first quarter 2017. 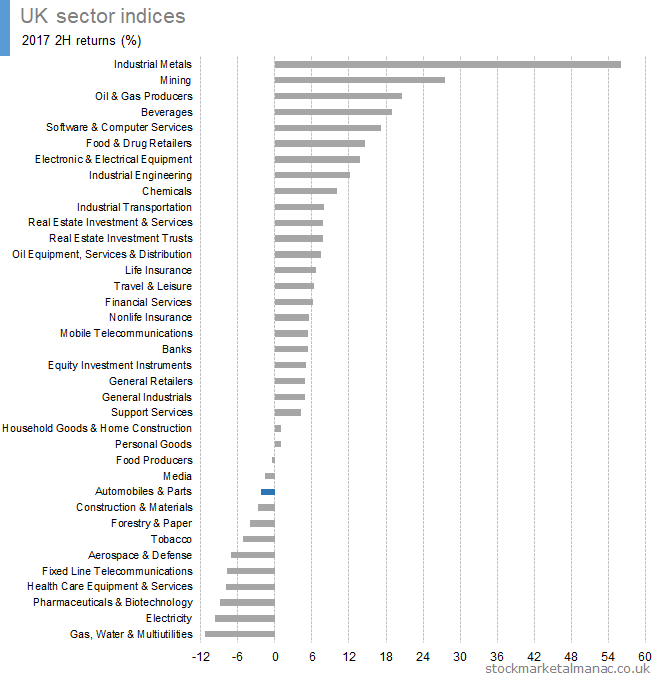 The following chart plots the performance of UK FTSE 350 sector indices for the second quarter 2016. 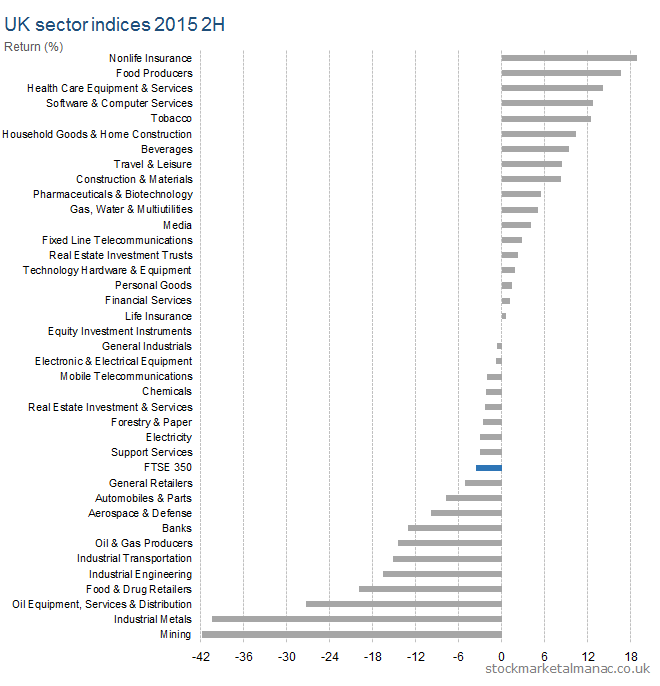 The following chart plots the performance of UK FTSE 350 sector indices for the first three quarters 2016. 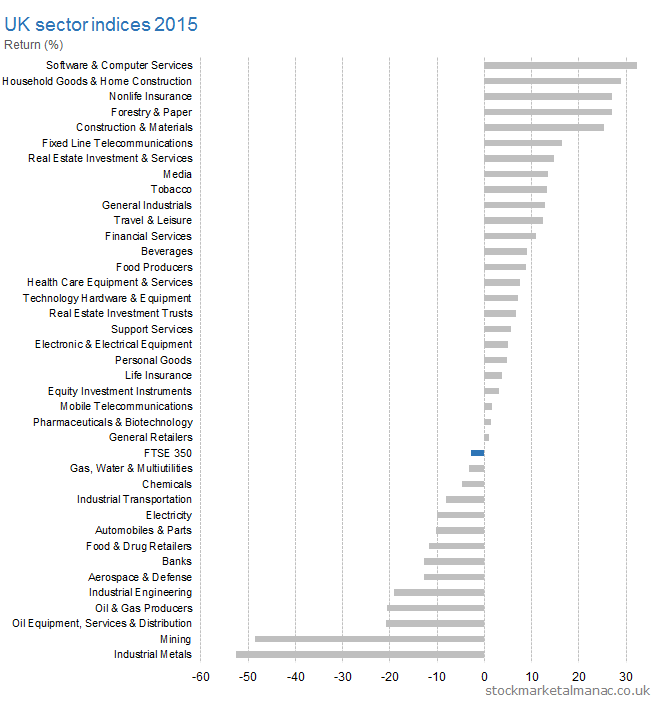 The following chart plots the performance of UK FTSE 350 sector indices for the first half 2016. 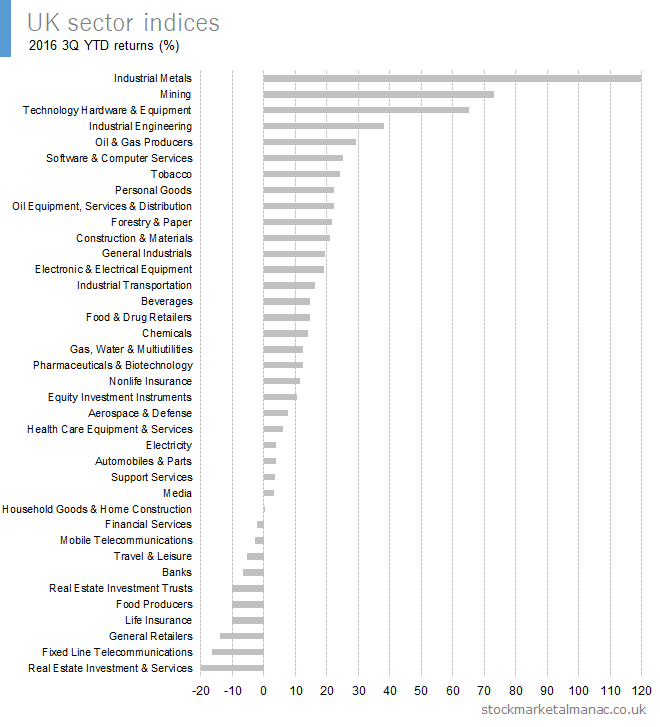 The following chart plots the performance of UK FTSE 350 sector indices for the first quarter 2016. 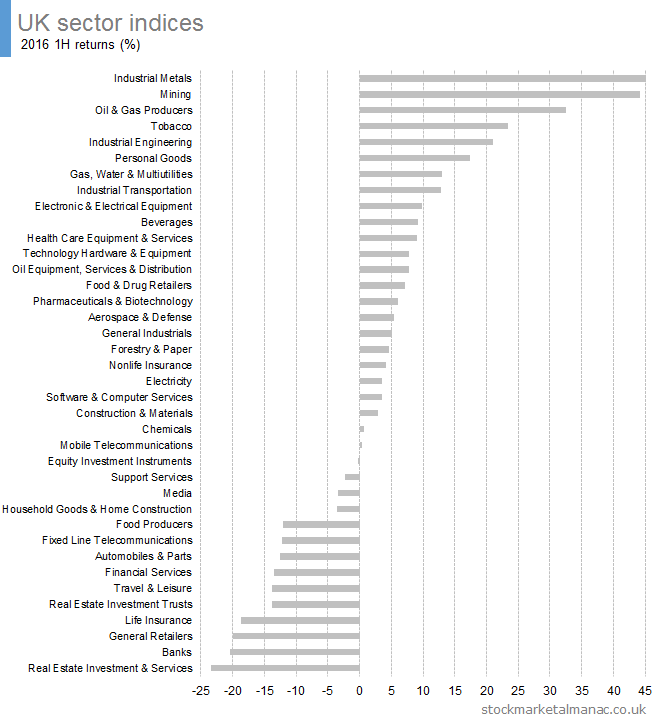 The following charts plot the performance of UK FTSE 350 sector indices in 2015 for the whole year, second half and fourth quarter. 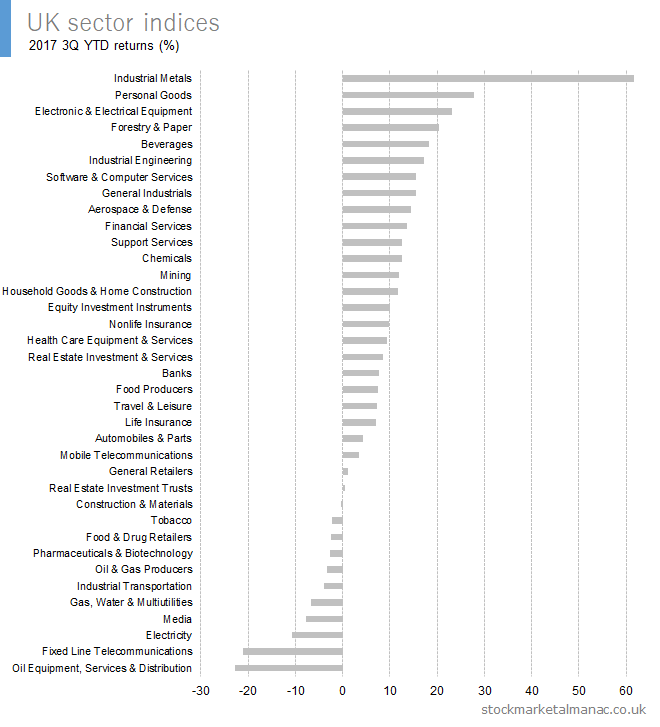 The above three time periods (1Y, 2H, 4Q) are consolidated into the one chart below. 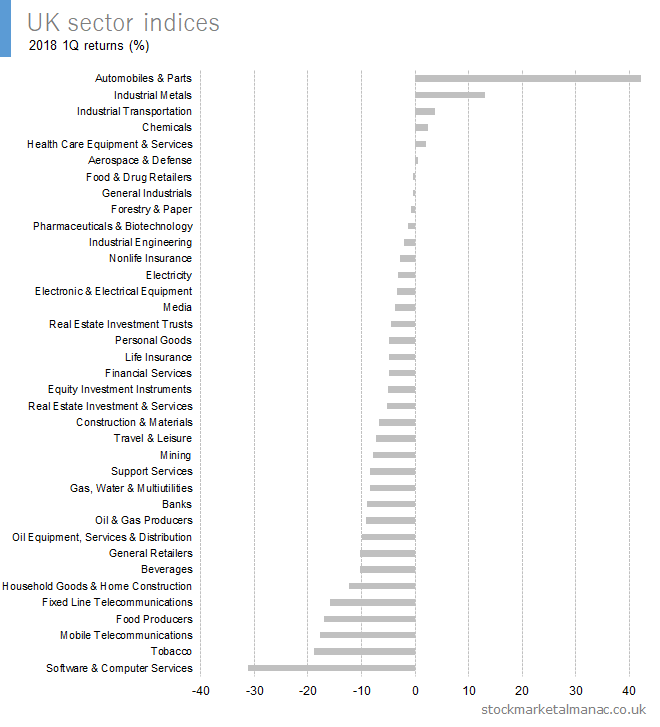 The following table summarises the data for the chart. 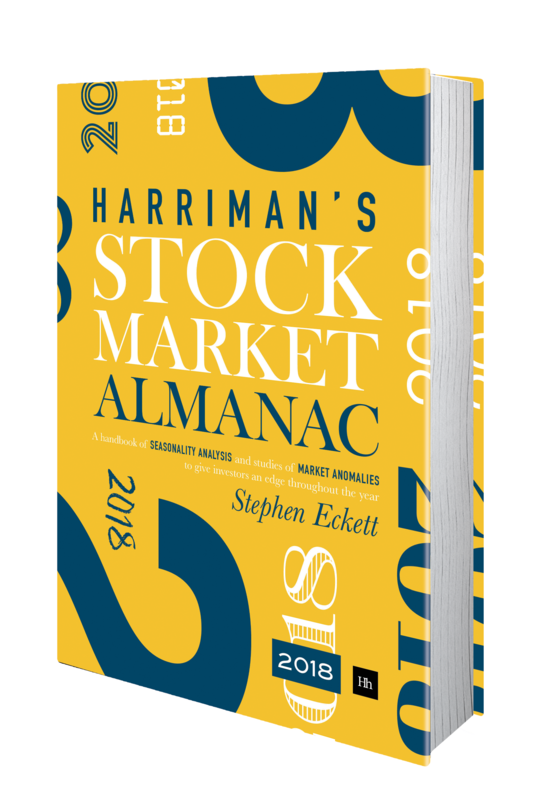 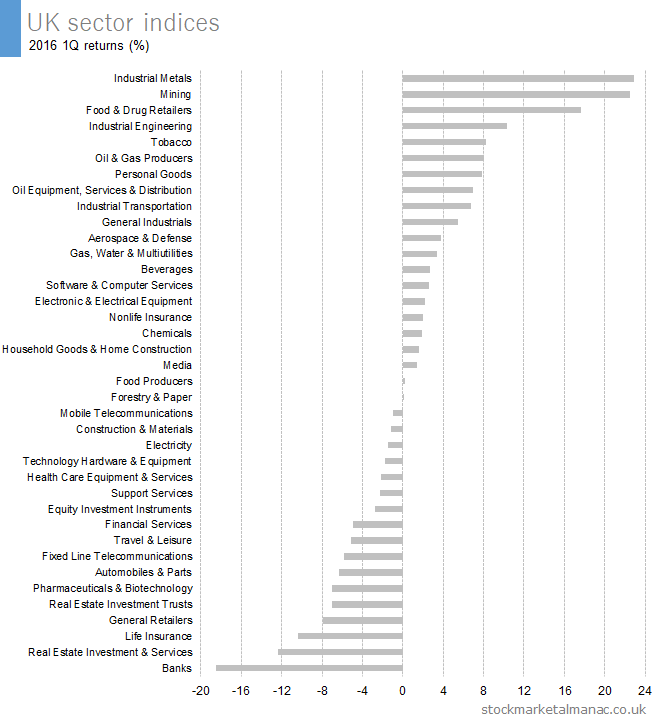 There have been no sectors that have consistently out-performed the market in October. 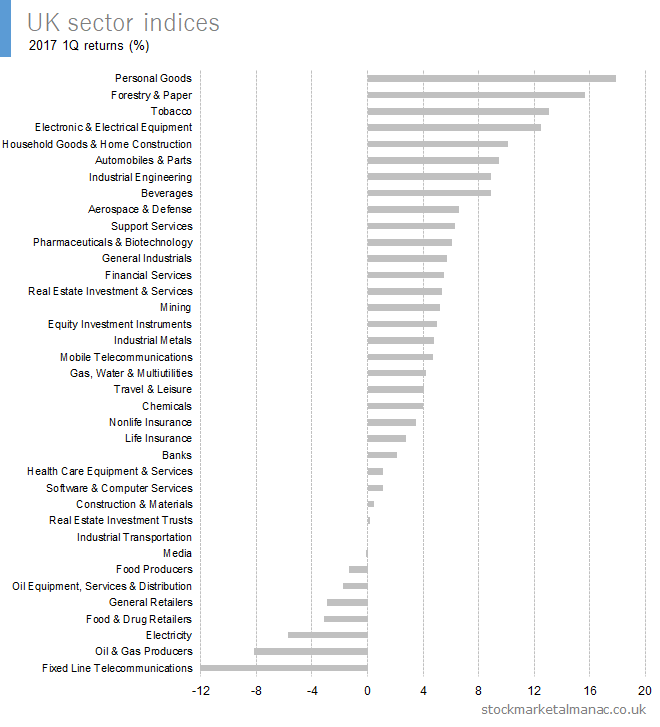 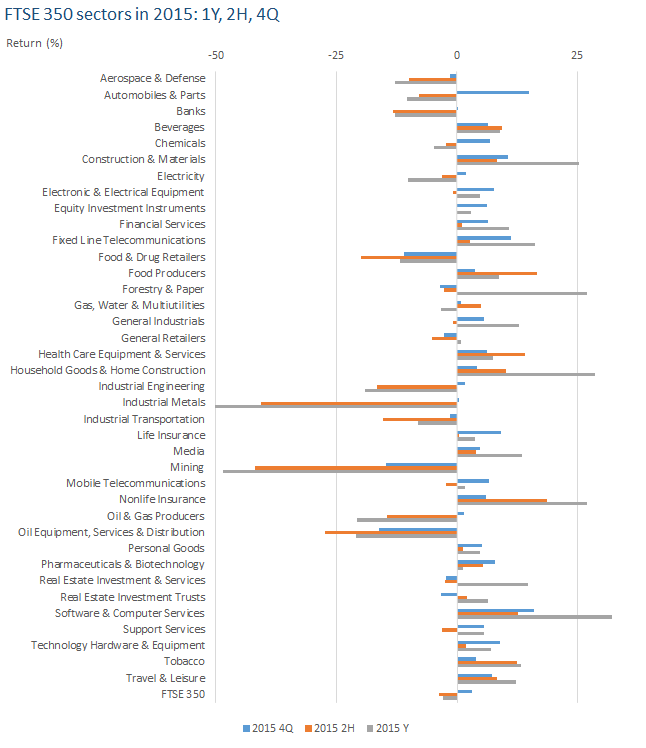 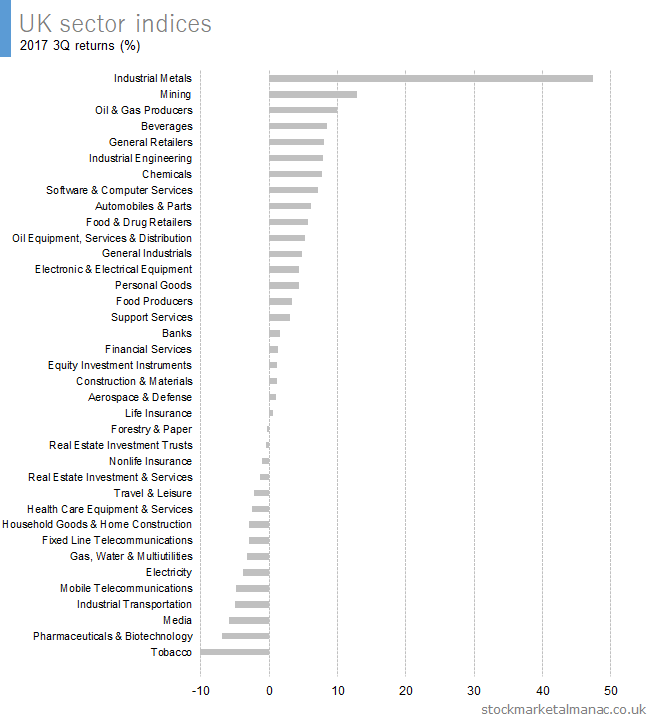 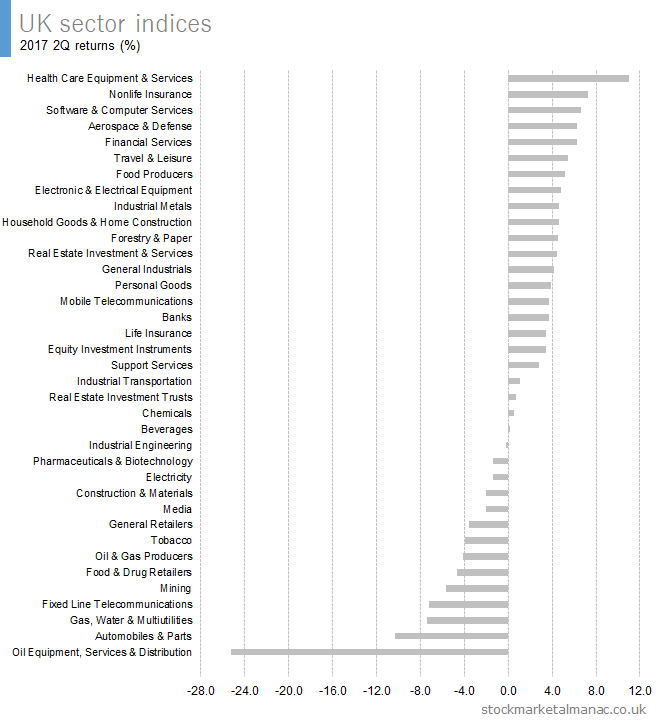 The following table lists the sectors that have been weak in October.